How can I unsubscribe from “Daily Digest” emails in Wealthbox? To unsubscribe from receiving the Daily Digest emails. 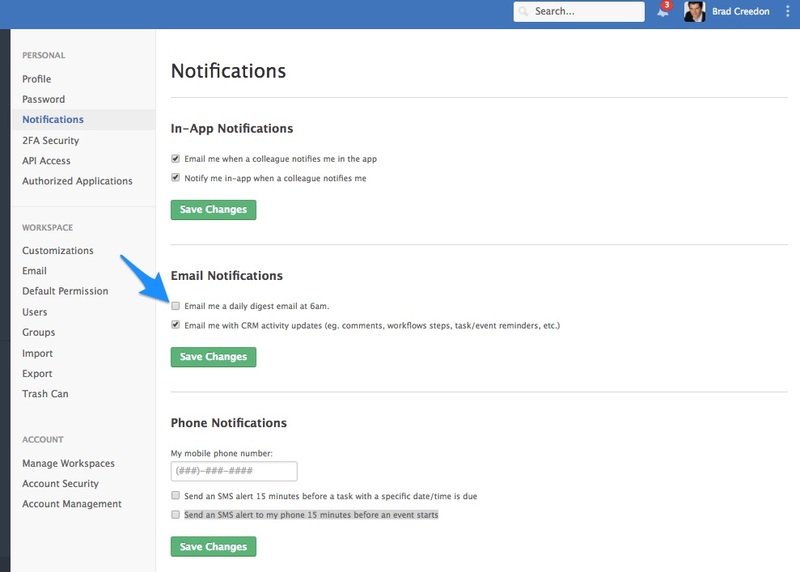 Go to your “Notifications” page in your Settings. Remove the check mark from the “Email me a daily digest email at 6am” check box.